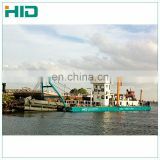 Our cutter suctioon dredger is designed with improved Australian NEUMANN technologies combined with our company's many years of practical experience. 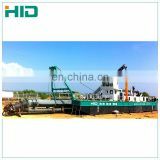 This dredger is a new type of environmentally friendly dredger carefully developed from our company and carries several patent applications. 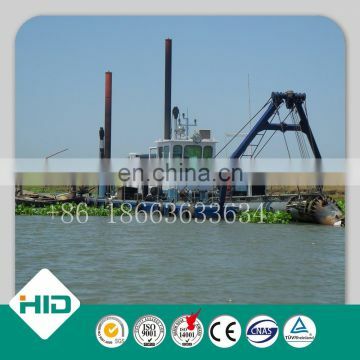 Scientists confirmed in their studies that: an underwater mud pump which has increased suction port density and is not restricted by cavitation performance can increase its suction density without increasing the flow rate and the pump efficiency, this is currently the best way to improve the efficiency of the dredging, with a concentration of 1.5-2 times of that of in-cabin pumps. 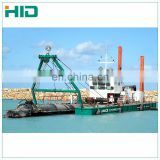 It has a much better efficiency with the same power as other pumps. 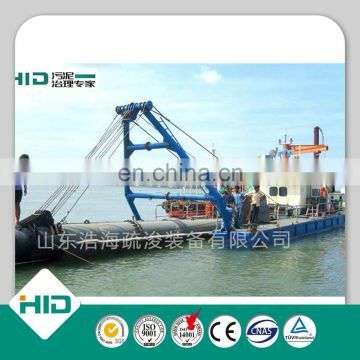 1,Engineers available to service machinery overseas. 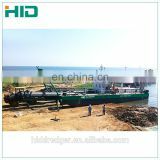 2,12month warranty for the quality of generator ,gearbox, dredger pump, hydraulic system, spud cylinder. 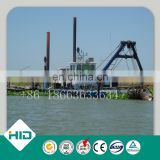 3,design according to ZC standard ,build according to Enterprise Standard. 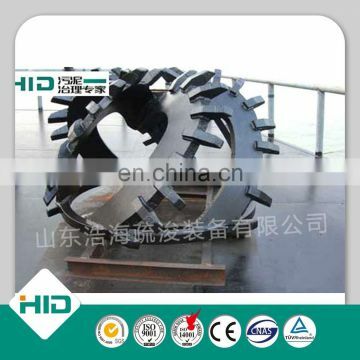 10,X-ray exploration , sand blasting and derusting. 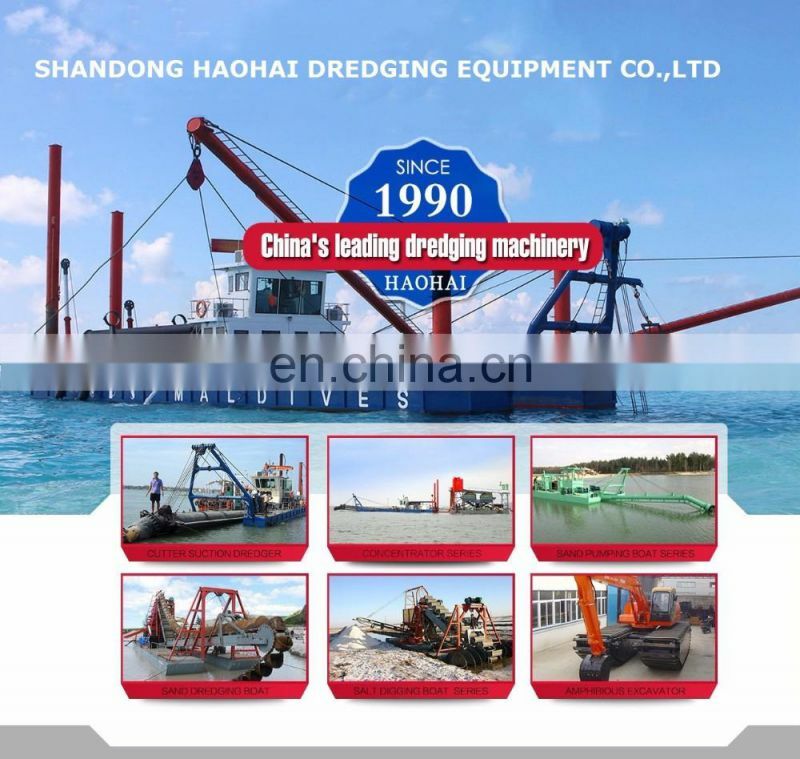 Shandong Haohai Dredging Equipment Co. Ltd. is located in the Economic Development Area of Qingzhou City, Shandong Province, a professional and innovative scientific research base established by Qingzhou Yongsheng Dredging Machinery Co. Ltd. 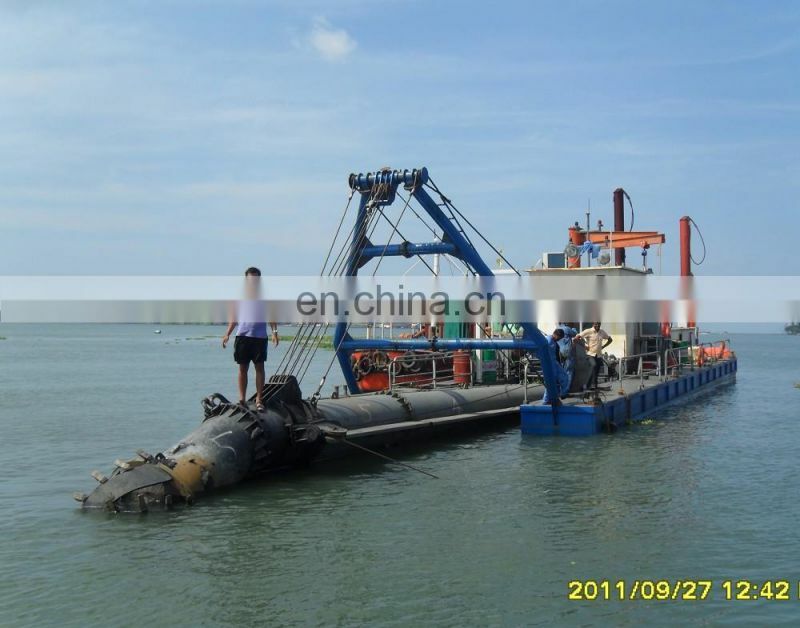 The major breakthrough products we have researched and produced are as follows: Dredging Equipment, De-silting Boat, Environmentally Friendly dredger, City Sludge Cleaning Equipment, Sludge Solidification Equipment, Salt Mining Equipment, etc. 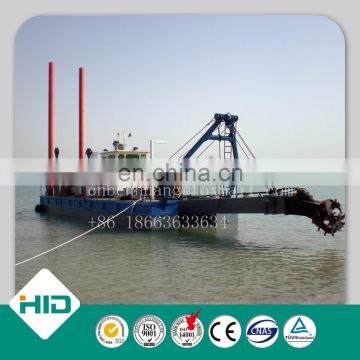 Many of our products lead in dredging technology globally. 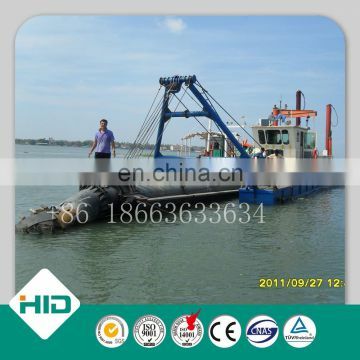 With gaining a number of patents, we are the same industry leading enterprise at home, and also a pioneer in leading the dredging industry to upgrade its technology. 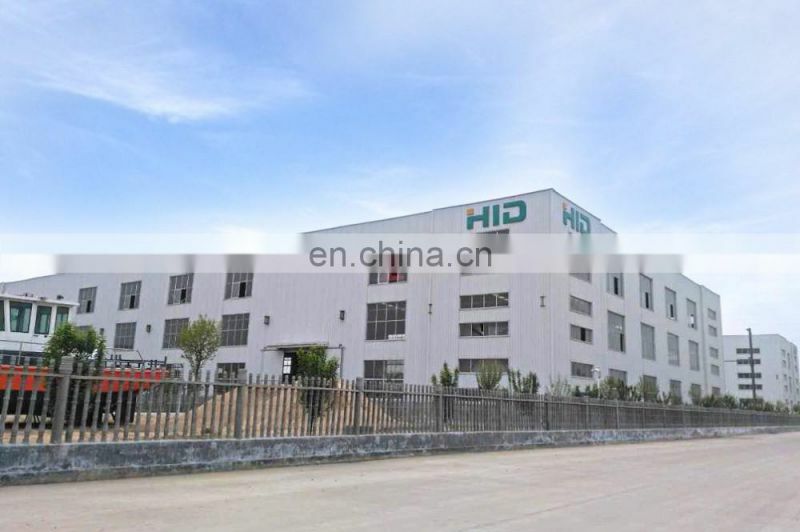 Our company covers an area of nearly 50,000 square meters, has fixed assets of 60,000,000 Yuan and 16 R&D personnel. 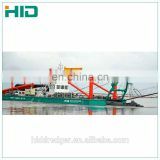 We have established regularly cooperative relationships with Jiangsu Ship Design & Research Institute, Chinese Academy of Agricultural Sciences (CAAS), Nanjing Hydraulic Research Institute, Shanghai Ship Design Institute, and more. 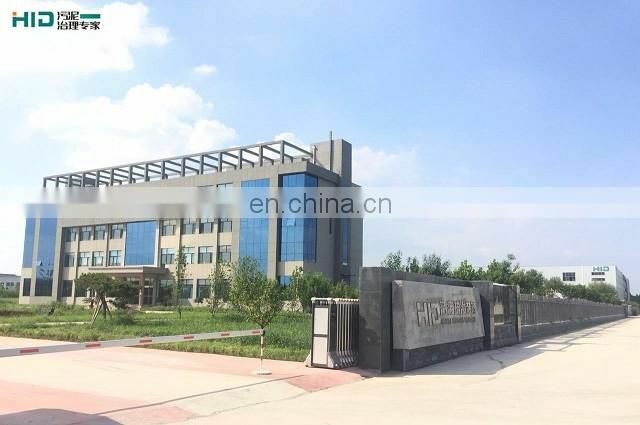 We own a variety of professional scientific research equipment and experimental pool for testing the products. 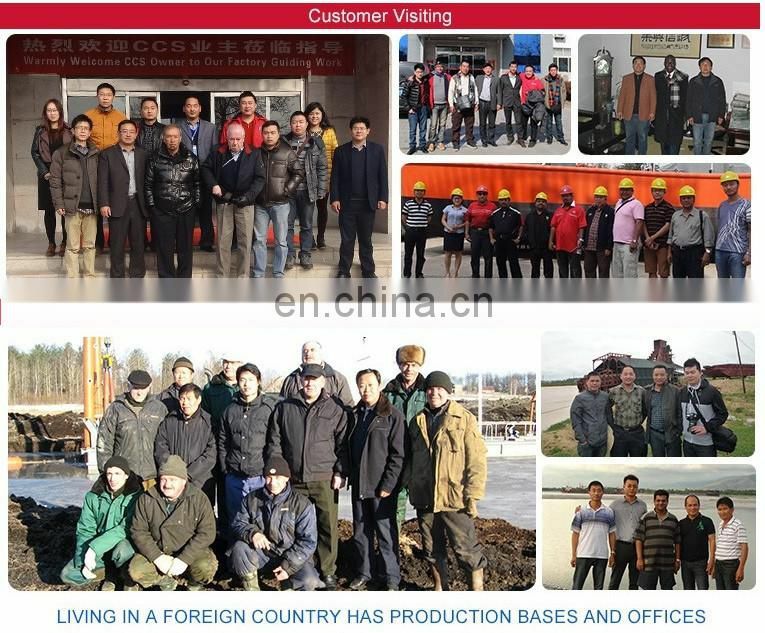 Our products have been exported to 33 countries including Russia, Poland, Malaysia, Maldives, Venezuela, India, Indonesia, Nigeria, etc., and they have enjoyed popularity around the world.